NEW! 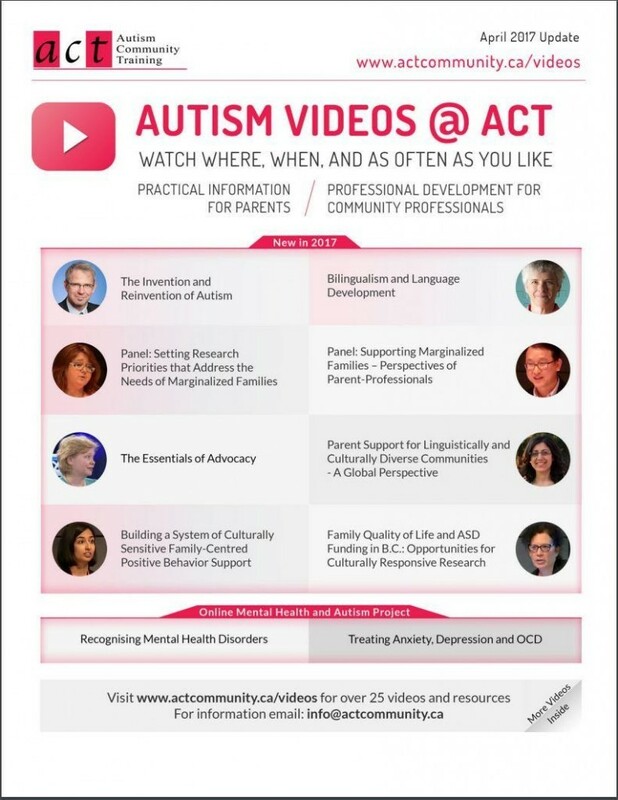 Autism Videos @ ACT 2017 Guide with new videos. We now have a library of over 25 online videos, by leading practitioners, allowing ACT to serve the autism community no matter where they live. Download and and share with your community. This entry was posted in Education and Training, News, Online Videos on April 4, 2017 by ACT.